There are a number of models within the Panerai lineup that feature the iconic logo on it’s dial. However, there are two that epitomize what the logo dial means to the brand and have lasted the test of time. 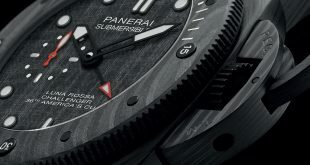 Those pieces were the PAM000 Base Logo and PAM005 Luminor Marina dial. To this day they are some of the best entry level Panerai’s on the market. 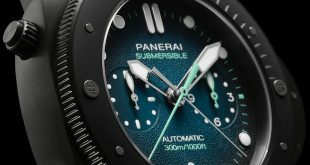 For the first time, Panerai has taken a very direct approach and expanded the logo dial line with a total of 6 new pieces which also come with a much easier to stomach price point. 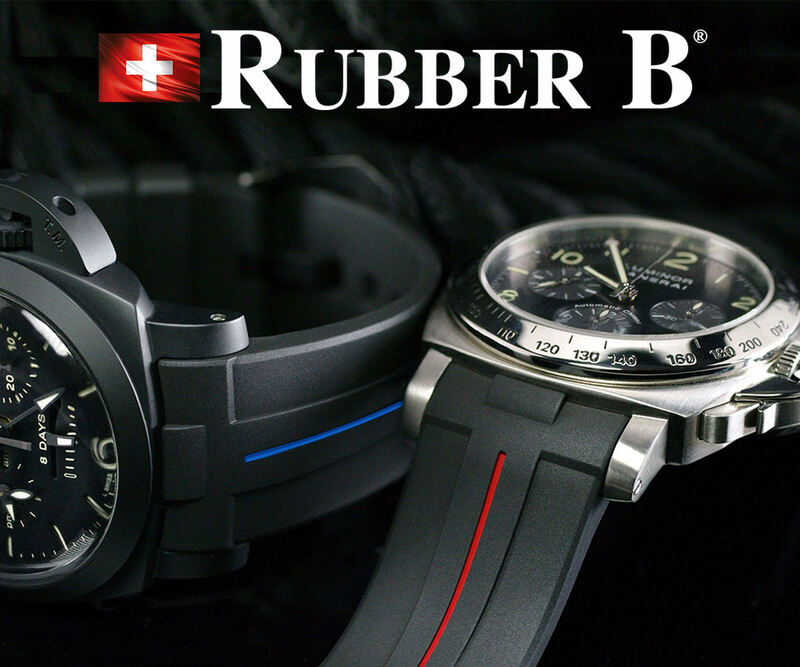 There are a total of 3 Base Dial Logo Luminor and 3 Luminor Marina models in the new collection. 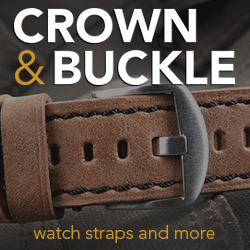 Each one is a slight variation of the initial models and some come with newly created straps to match. Two of the pieces essentially are like the PAM000 and PAM005 with some minor changes as we explain below. The Base Dial pieces (ones that don’t feature anything other than the hour and minutes hand and the 12, 3, 6, 9) include the PAM773, PAM774, & PAM775. 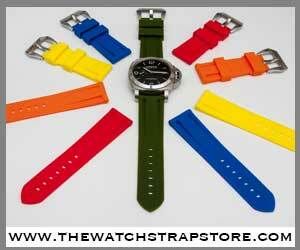 As with all the models in this lineup they come in a 44mm polished steel Luminor case and solid case back. The PAM773 is essentially a replacement for the PAM000 and features a painted black dial with a logo outlined in white. The PAM773 comes on a simple black leather straps with beige stitching. 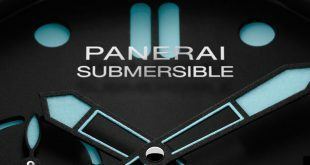 The PAM774 varies from the PAM773 in that the logo is done in the Panerai blue and comes on a grey fabric strap with blue accent stitching to match the logo. The PAM774 is a white dial version of the logo dial and has all the Arabic numerals around the dial and uses painted faux vintage dot indexes for the lume. The logo on this particular piece is done in blue as well and features a brown leather strap. The next set are the Luminor Marina Logo Dial versions which essentially replace the 9 on the dial with a sweeping sub seconds dial. The PAM776 which is the newer version of the PAM005 features the black painted dial and comes on a black leather strap. The PAM777 uses the same black dial as the PAM776 but utilizes a blue logo instead of the white and comes on a brand new blue fabric strap with matching blue stitching. The final offering is the PAM778 which is the white dial with blue logo and has full Arabic numerals around the dial with painted faux vintage colored dot indexes and comes on a brown leather strap. In recent years we have seen that Officine Panerai has slowly phased out all of the 3rd party movements in favor of newly created in-house movements. We saw this with the P.5000 movement used in the PAM510 and PAM560 which essentially replaced the PAM111 & PAM112. 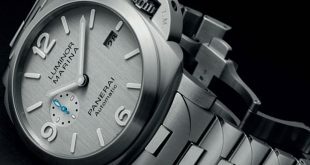 In these logo dial pieces Panerai created a brand new movement which is the P.6000 manual wind movement with 3 day power reserve. The P.6000 is very close to the P.5000 movement with a few minor differences. The P.6000 has 19 jewels instead of 21, 110 components vs 127, no Glucydur balance, and an Incabloc anti shock devices as opposed to a KIF Parechoc anti-shock device present in the P.5000. Also on these new models, the case and bezel are one solid piece as opposed to being separate, the case back is a snap back instead of a screw on, and the lugs are spring bars instead of screws. Despite moving to an in-house movement for all of the new pieces they managed to lower the price point of entry into these pieces to only $4,700 USD for the base logo models and $5,000 USD for the Luminor Marina models. That price point gives a lot of new prospective Panerai owners a very good point of entry on some of the most iconic and visibly recognizable pieces in the Panerai lineup. All of these pieces of course will be part of the regular lineup and you should see them in boutiques somewhere around July of 2018 if everything stays on track.